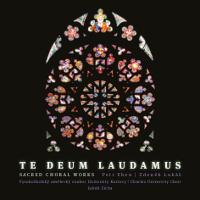 The Charles University Choir (abbreviated as VUS UK, which means in Czech: An Academical Artistic Ensemble of Charles University), belongs to the bodies with the longest tradition in the sphere of non-professional choir singing in the Czech lands (Bohemia and Moravia). As a matter of fact, it is the oldest Czech academic choir, formed in 1948. Its founder, Czech composer Jan Tausinger, also became its first conductor. From the very beginning, members of the ensemble were mainly students, graduates and employees of different Prague colleges. In 1977, Charles University became the main supporter of the choir. Since that time VUS bears the name of this oldest Czech university. Today it has between sixty and eighty singers with an average age of about 28 years. The choir is a member of the European Federation of Young Choirs (EFJC), takes regularly part in international festivals EUROPA CANTAT, and is co-organiser of the traditional International Singing Week in the town of Tábor in southern Bohemia. In the past few years especially, VUS has visited a number of places abroad and introduced itself to foreign audiences. The choir gave performances not only in many European countries (Germany, Austria, Italy, Switzerland, France, Belgium, Holland, Sweden, Denmark, Norway, Baltic countries, Armenia, the Siberian part of Russia, Poland, Hungary, Spain), but also outside the Old Continent – in 1990 two weeks in the USA and two years later a two week concert tour through Israel, where VUS appeared as the first Czech vocal body after more than forty years. The ensemble gives regular performances both in the home country as well as abroad and is often invited to different concerts and festivals, many invitations come one or two years in advance. 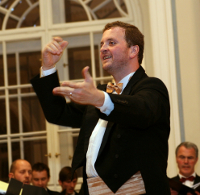 Since September 1999, Jakub ZICHA (*1974) has been the choir conductor. He finished studies of viola lead by Professor K. Spelina at the Prague Music Conservatory. During his studies, he became a member of Myslivecek Chamber Orchestra and took part in its concert tours abroad (1991 – Scotland and Germany; 1993 – England and Wales) as a soloist. As a member of different chamber bodies, he made several recordings for Deutsche Grammophon and Supraphon. Jakub Zicha is a founder and artistic director of the ensemble Prague Cathedral Soloists.